As the title indicates, the show’s second episode is all about the assassination of President Abraham Lincoln – a moment in history that everyone and their cousin’s dog is familiar with – unlike the Hindenburg disaster (which I honestly had to look up to jog my memory). This was a smart move, as the stakes felt higher without needing as much explanation. 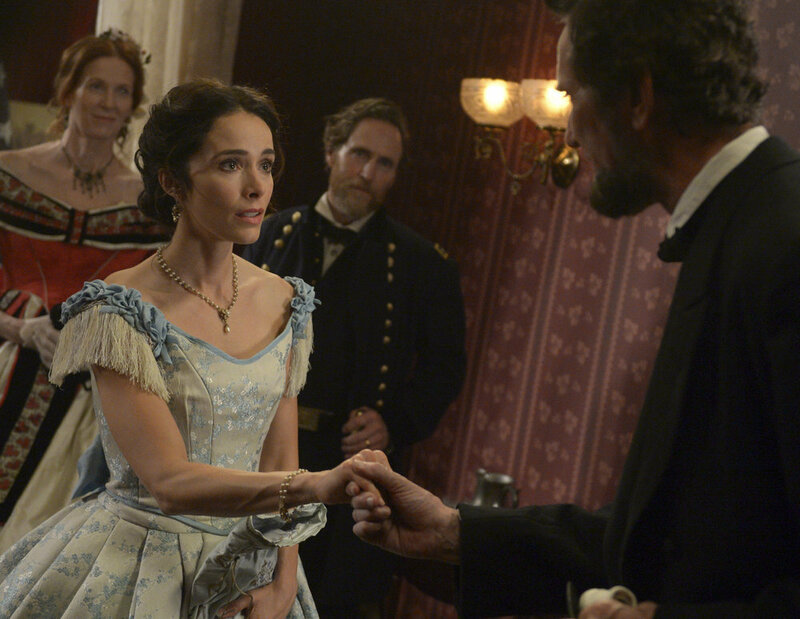 We didn’t need as much hand-holding to explain what was happening, so the show was given the chance to spend more time on character motivations and dig into the conspiracy surrounding Lincoln’s assassination – and the would-be assassination of Vice President Andrew Johnson, Secretary of State William H. Seward, and General Ulysses S. Grant. To briefly summarize, after a shocking (and surprisingly authentic) flashback of Lincoln’s assassination, the second episode picks up right where the pilot left off. Lucy has just been hit with the triple bombshell revelation that her sister longer exists, her mother is not dying of cancer, and she’s engaged to some man she clearly does not know. Her meddling with the Hindenburg disaster caused a ripple effect through time that reshaped her own personal history. 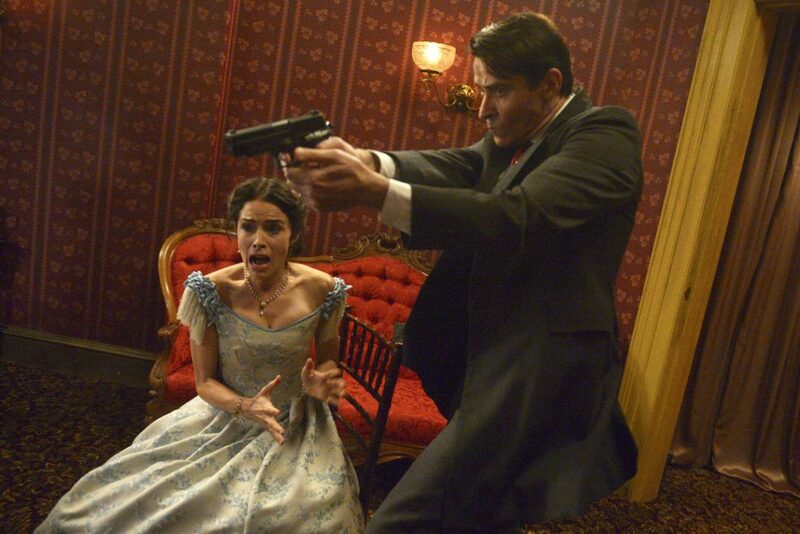 It’s this kind of twist that makes Timeless so daring and gripping to watch, because the stakes are real. Literally anything can happen in this show. 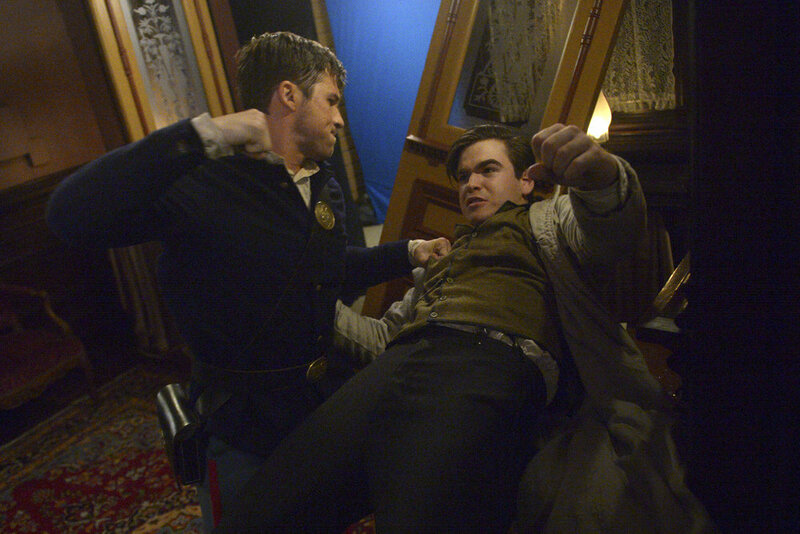 So our trio of heroes is faced with a moral and ethical dilemma as they chase after Flynn to prevent him from assassinating Johnson, Seward, and Grant, in addition to Lincoln: what might happen if they were to save the President? Would history change for the better? Or would it be worse? These questions get lobbied around from character to character, and they each have different philosophical views on why they should (or should not) change the course of time. Lucy, being the historical purist, says they absolutely cannot interfere with Lincoln’s death – she knows firsthand the ramifications of messing with the past. But Rufus and Wyatt disagree, with Rufus imagining a better future for minorities in America, and Wyatt imagining a future where his wife didn’t die. Not only are these deep, frustrating questions, but they are tackled with the right amount of emotional weight to really land and make you think. We also learned more about what Flynn’s motivations – he doesn’t want to destroy America, he wants to save it – and he’s not afraid to get his own hands dirty. Honestly, the man sounds like a crazy, pseudo-religious zealot from one of the Bioshock games, and I absolutely love it. Here is a villain that is truly frightening because you start to believe that maybe he’s not as evil as we’re being led to believe, even though he’s willing to devastate history to achieve his goals. And speaking of Flynn, he mentioned “Rittenhouse” as some big bad evil organization. Lucy (like the audience) has no idea what he’s talking about, but we later find out Rufus is being blackmailed to spy on Lucy and Wyatt because Rittenhouse is the organization that saved him from his own murky past. The details aren’t clear, but we’re getting closer to answers. And poor Rufus clearly doesn’t want to spy on his friends anymore, but he has no choice. I imagine he’ll come to a breaking point sooner rather than later. That’s actually the strongest element of this episode, and it’s one I mentioned at the beginning of this review – we’re only on Episode 2, and it moves the story along at a brisk, even pace without bogging the narrative down with more details. It’s simply exposing the questions that were already planted by the pilot, and nourishes them to bear more fruit as the season progresses. I also just want to reiterate that I really love that Lucy is the focal point of this show, and I am digging what they’re doing with her storyline. The fact that her mother has been lying to her about her father in not one, but two different versions of her personal history is an incredible twist. I’m also digging the twist that she got engaged, and I can’t wait to see how the show explains that new bit of information. I also really, really appreciate that this show doesn’t ignore the fact it has a black character traveling into America’s (and the word’s, to be honest) incredibly racist past. The pilot gave Rufus an amazing moment to shine about how much progress the black community would make in the future, but this episode slowed it down as he was confronted by a company of black soldiers who wanted him to write notices to help them find their families now that the war had ended and slavery was abolished. 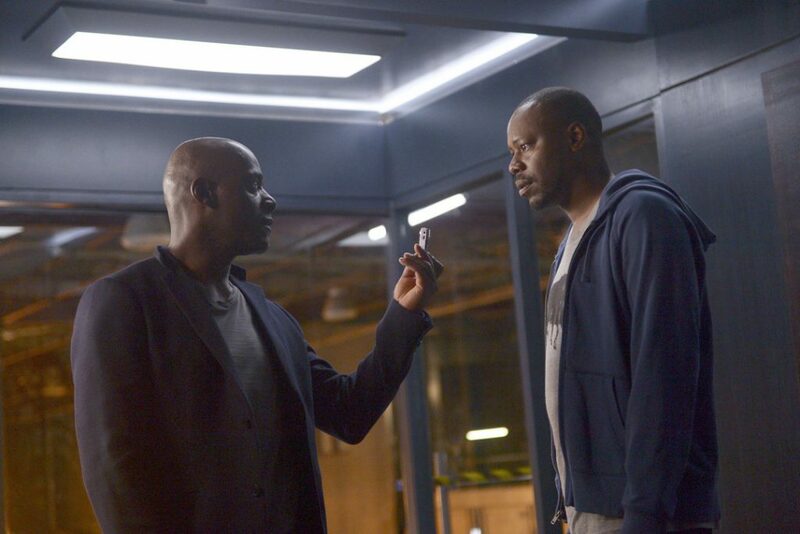 It was heartrending, and Malcolm Barrett delivered a performance that made you feel Rufus’ complete and utter helplessness, and his deep empathy. That being said, the show was still chock full of jokes and one-liners, just like the pilot. A few of them were borderline cheese, but the majority of them were legitimately clever, and they helped keep the show light and lively. The action is also top-notch, and the production value is just mind-bogglingly impressive. Seriously. 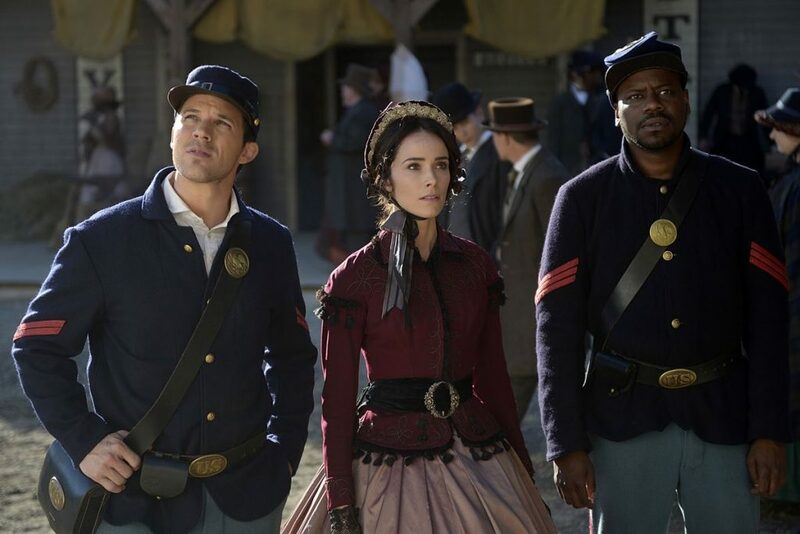 From the sets to the costumes, it really felt like the characters travelled back to 1865 – something that you wouldn’t necessarily expect from a broadcast television network. But, then again, we’re living in an age where people expect cable-quality television – and I’d argue Timeless is exactly that. Episode 3 takes place in Kennedy’s America, and I can’t wait to dig in and see how things continue to pan out.